What do you know about the circumstances surrounding the production of your smartphone? For the majority of us, the answer is sadly ‘not much’ or ‘I’d rather not know’. 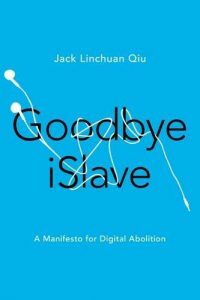 In this special 2-part episode, Jack Qiu – author of the book ‘Goodbye iSlave: A Manifesto for Digital Abolition’ – talks us through a story that has been largely neglected by the tech media. Many people think of slavery as history. But for Jack Qiu, the present-day treatment of some workers in smartphone, tablet and laptop factories in China needs to be conceived of as slavery. While he says slavery has “mutated” since its most horrific historical forms, he suggests that coercion of student workers approximates modern-day definitions of slavery. He goes further, drawing parallels between the western addiction to sugar that fuelled the slave trade of the 17th century, and the addiction to online content that fuels the endless production of gadgets today, he highlights ways in which exploitative systems of production continue in ever-changing ways. In Part 1, Qiu talks about the use of student “interns” by electronic manufacturers as a source of involuntary labour, as many vocational students have their degrees held at ransom until they complete work at Apple contractors. He outlines his view of the role of academics in fighting for social justice, and explains his personal reasons for going after tech giant Apple before other equally as exploitative companies. 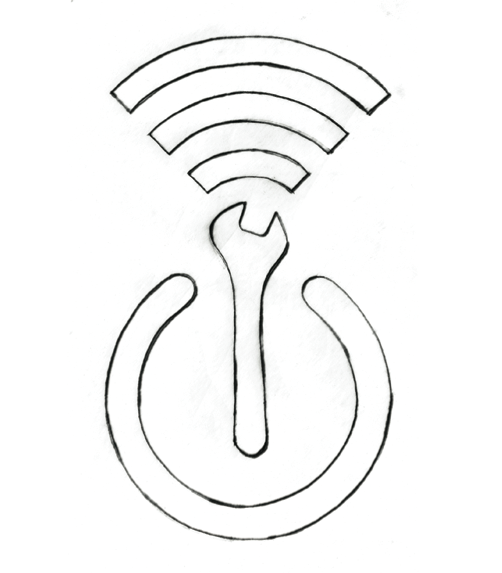 Featuring the contribution of Restart Party guests around London, this episode begins to follow the patterns of oppression and exploitation that are etched into the phones we carry around in our pockets. Be sure to tune in next week for Part 2 of the ‘Goodbye iSlave’ podcast. We’ll continue our conversation with Jack Qiu, and start thinking about ways we can move towards a less exploitative and happier model for electronics manufacturing. We interview Andrew Hatton, Head of IT at Greenpeace UK. We talk about the environmental implications of using the Internet and Greenpeace’s campaign on the topic. This episode was excellent; that said, though Apple is singled out and though I don’t disagree that it is a big contributor, Jack misses the point, Apple is but one of the major players and Foxconn must be held to account as well; same with Samsung and Google. So, in a way, Apple’s being singled out is political more than just logical. Do I feel guilt, yes; but I also try to use my devices for as long as I can, repairing and upgrading in place as much as possible. Will I feel guilt about getting a new iPhone or MacBook in 2-3 years, if I have saved for it and make the choice wisely, yes; but only a little.